Korea has an impeccable transportation system: from having one of the world’s fastest trains (KTX) to continually expanding their already efficient subway systems, you will not have a difficult time traveling and exploring beautiful Korea. Subway systems are found in the most populated cities in the country. They are extensive, efficient and easy to use. Station signs are also written in English and Korean, making life easier for foreigners. Korea has three major kinds of bus service; intra-city (local buses), long distance buses and charter. Each city in Korea will have at least one bus terminal. Bus schedules are very efficient and have online schedules for each city as well. The seating is usually not assigned, so be sure to get there early to get a seat. For long distance trips, there will be spots roughly every two hours where you can use the washroom and/ or get snacks. 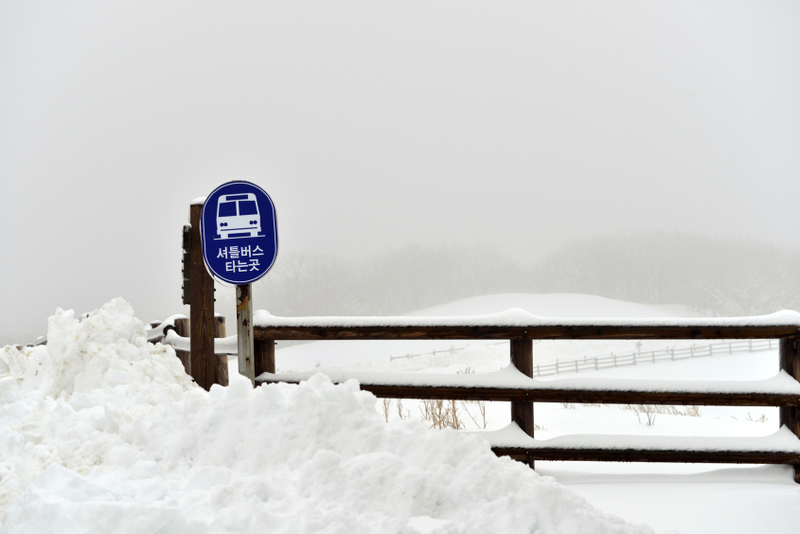 Korea’s bus system offers travelers a fast and affordable way to travel. Trains connect to all the major cities in Korea and the cost is similar to bus travel. Both are fast, safe, affordable and efficient. There are both high speed trains (KTX) or regular trains that are less expensive but comfortable and efficient. Getting around any train station in Korea can be done with relative ease as platforms are clearly marked and directions are written in both Korean and English. The Korea National Railroad site lists timetables and fares in English as well. There are two different kinds of taxis in Korea: standard taxis and luxury taxis. You can often identify the luxury taxis as they are usually the more expensive models that are almost always black. There really isn’t much of a difference, other than the fare, so we recommend you save yourself some cash and choose the standard taxis. You need not worry too much about taxi drivers scamming you, but it is always a good idea to err on the side of caution. For the most part, drivers are honest and will use the most direct route to get you to your destination but it is always wise to be wary regardless (as this is a common scam in many countries directed towards foreigners). There may be times when taxi drivers will pass by you and not pick you up; this could simply be that they are insecure about a language barrier, so don’t be offended. Do not tip the taxi driver. Tipping may be part of your culture, but is not in Korea, and can be considered insulting. Unless you are planning on staying in Korea long term, it may not be the best choice to purchase a car based on the very high cost of gas there. Parking is often very difficult to find and the country experiences a lot of traffic congestion. If you do choose this route, used cars are cheap to buy in Korea and getting an international drivers license is as easy as writing a simple test. Bicycles are not too popular in Korea and you won’t see too many cyclists. Although there are many places to ride, the roads are not necessarily ‘rider friendly’, so be cautious if you do choose to ride a bicycle.